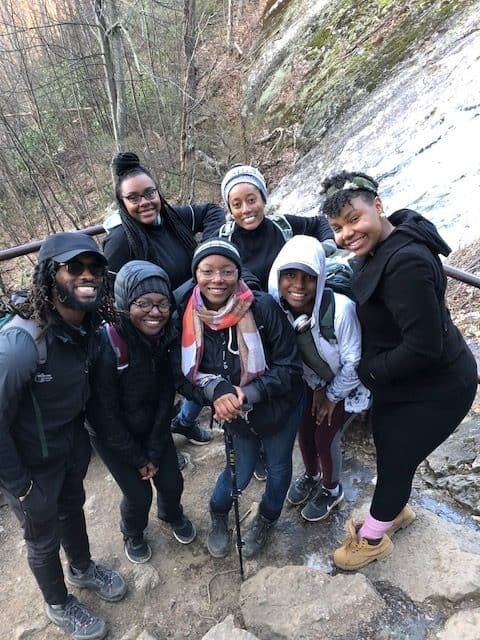 The American Hiking Society Alternative Break Scholarship offers your school group the unique opportunity to participate in a 2019 Alternative Break. If selected, your group would participate in a profound week-long service trip that not only provides critical conservation work to a park in need, but provides your group with leadership training, team building opportunities, and outdoor skills instruction from leaders in the field. DATES: The Alternative Break will take place in March 2019, during your school’s Spring Break. LOCATION: James River State Park in Virginia- a picturesque landscape, nestled among the foothills of the Blue Ridge, along the historic James River. Trails meander through woodlands, meadows, and along the riverbank. 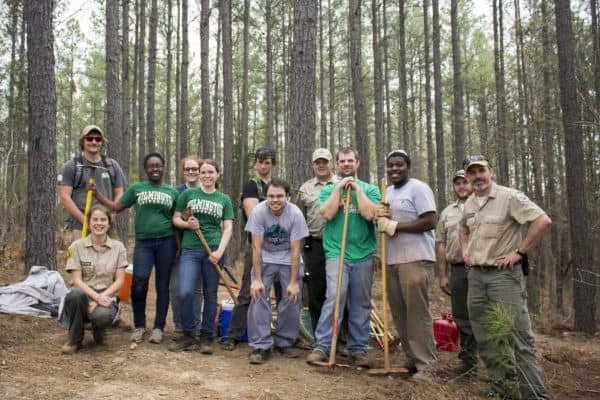 Throughout the week, the park will offer volunteers unique environmental educational programs, including a guided night owl hike, archery lessons, and a visit to another VA State Park. SERVICE: This trip is specifically designed for those new to the outdoors and trail maintenance. Experienced project hosts will provide safety demonstrations, instructions on tool use, and guidance and supervision throughout the week. 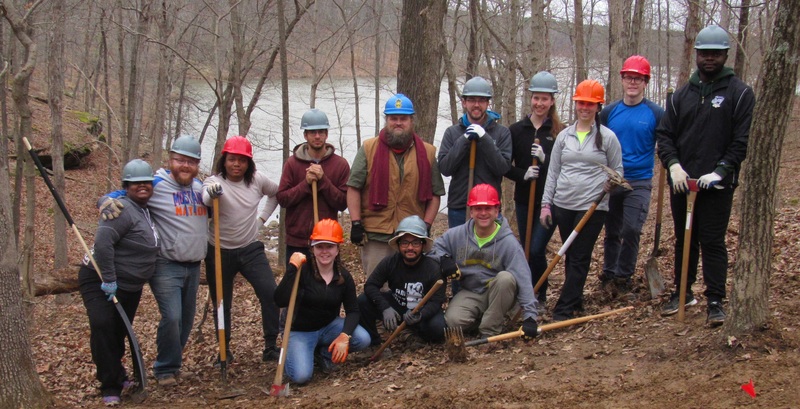 After learning the basics of park conservation from staff, your group will help maintain trails throughout the park’s 20-mile trail system. ACCOMMODATIONS: Your group will stay in the park’s fully-furnished lodge, which sleeps 14. The lodge has central air and heat, 3 bathrooms, and a full kitchen equipped with utensils, dishes, and pots/pans. The lodge has a gas fireplace for relaxing after a rewarding work day. You just need to bring your personal items. We will provide a recommended packing list. NO EXPERIENCE REQUIRED: No prior trail service, hiking, or outdoor experience is required, though participants should be prepared to walk up to 3 miles per day to complete the work. Participants need only bring their personal items, and we will provide a recommended packing list.